From the late 1960s to the late 1970s Rhoda Morgenstern was one of the most vibrant and popular characters on mainstream American television. Played by Valerie Harper, Rhoda is still considered to be one of the greatest TV sidekicks ever from her friendship with Mary Richards, played by Mary Tyler Moore, on the Mary Tyler Moore Show. The friendship also set new standards for the portrayal of young single women; Mary Richards, the polite sophisticated Midwesterner; Rhoda Morgenstern, the sassy Jewish New Yorker. This Jewishness was further emphasised by the frequent visits of Rhoda’s mother Ida played wonderfully by Nancy Walker. So popular and successful was the character with audiences she was eventually given her own show Rhoda which set its own television firsts. It was the first show ever to debut at number one in the ratings in America. 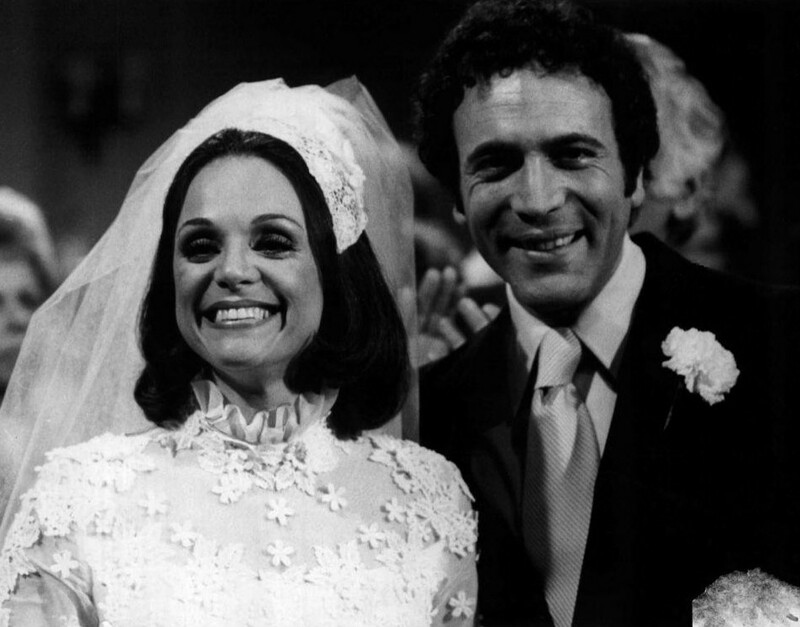 Rhoda’s romance and wedding to Joe, played by David Groh, would also break TV ratings and become a television phenomenon of the 1970s. 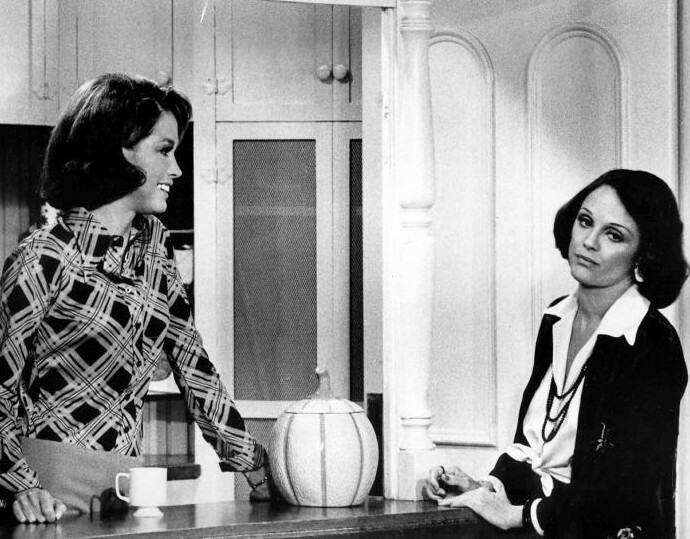 Although the series was unable to maintain the momentum beyond two seasons, ratings fell sharply from season three onwards, for those two seasons it’s arguable that it surpassed the popularity of the Mary Tyler Moore Show. However, one thing effectively changed. In the transition from sidekick to main character, from Mary Tyler Moore Show to Rhoda, Rhoda stopped being overtly Jewish. 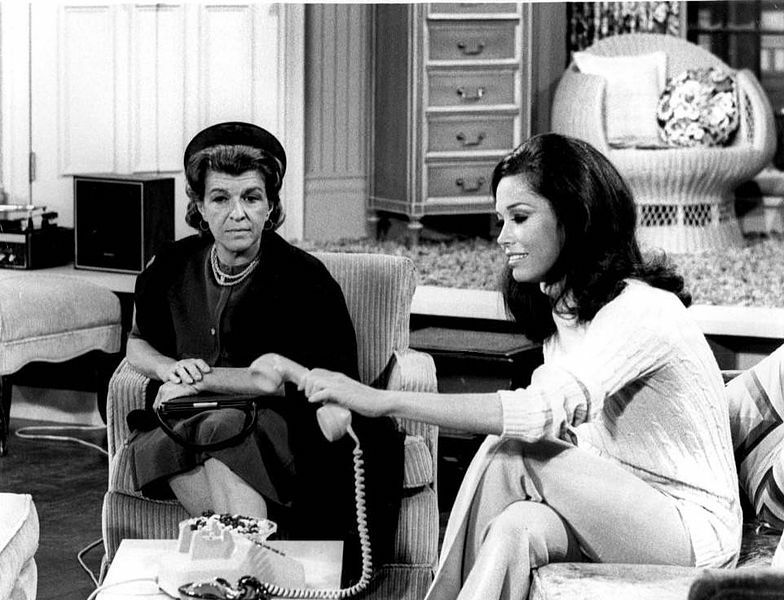 Any deep expression or serious consideration of Jewishness as had occasionally occurred on the Mary Tyler Moore Show was excised (there had been episodes of the parent show which considered anti-Semitism for example). What touches of Jewishness remained were merely window-dressing (ironically as this was Rhoda’s job for the first two seasons of the series). The character as she’d been originally imagined could be a sidekick on a mainstream show, but not the main character, because in the 1970s being Jewish was still considered too ‘ethnic’ for a main character. In the mid-late 1980s/1990s that would change as Jewish main characters took centre stage on shows such as Mad about You, Seinfeld, Curb your Enthusiasm and Friends. But, the important thing to note is that the characters being portrayed are no longer ethnic. They have become white, usually middle-class, to such an extent that their Jewishness can not only be tolerated but assimilated. In fact their Jewishness only serves to emphasise their neo-WASPishness: the most Jewish thing about a character such as Rachel in Friends are the constant references to the nose she’s had surgically removed. Again, it’s window-dressing, but with a point. Popular mainstream TV, especially comedy, is a very particular beast to consider. There’s the issue of the extent to which American mainstream TV follows a different path from British TV where LGBT*+ representation is concerned (I personally think that the differences are often exaggerated in favour of British television). One consideration is the extent that British Soaps have developed a tradition of increasingly representing LGBT*+ lives as part of their everyday scripts. Another is the impact of the quality PPV channels in America, such as HBO, which has ushered in a new era of braver programming with consequences for LGBT*+ representation. But the Rhoda Conundrum still remains. On Modern Family – Cameron and Mitchell, the gay parents, constantly refer nostalgically to the ‘gay lifestyle’ they have had to give up to become WASPlike parents. Yet it is never in doubt, despite Mitchell’s feelings towards his own father, that being a WASP parent is a state to be earnestly desired. It’s not that there aren’t constant references to Cameron and Mitchell’s gayness, but again it’s window-dressing with a point. Cameron and Mitchell not only desire to be WASP parents; their desire props up, and exonerates, the failings of both their own sets of parents. The point with window-dressing is to get you inside to buy. What’s inside the store may not have changed all that much, if it all. 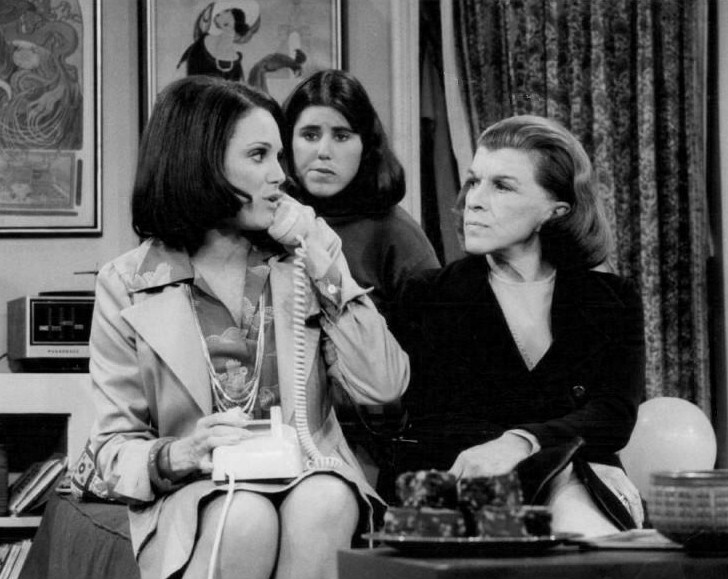 Perhaps as important for current LGBT*+ representation is to consider that neither Valerie Harper nor Nancy Walker, excellent actors that they both were/are, were actually ethnically Jewish. The performances themselves were another form of window-dressing. A Validated Measure of No Sexual Attraction: The Asexuality Identification Scale. Really significant paper by Yule, Brotto & Grozalka 2015. Although not in my area – it focuses on asexual orientation – I think it has benefits for all researchers on asexuality.